The Authentic Foods Vanilla Powder is made from hand-picked vanilla beans and contains no alcohol. The benefit of using this vanilla powder in place of vanilla extract is that the vanilla powder will give your baked products or drinks a natural vanilla taste without the aftertaste from alcohol. 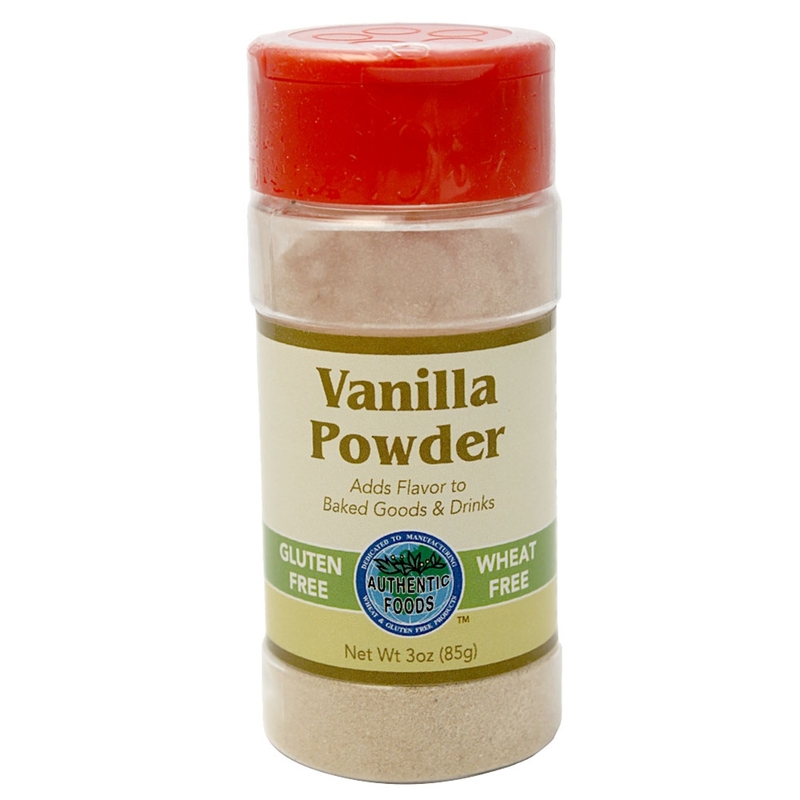 As a result, the Authentic Foods Vanilla Powder will add more flavor to your baked goods or drinks than ordinary vanilla extract. Husband is happy with product to sprinkle on his lattes. Have purchased vanilla several times from Authentic Foods. Excellent product. Lovely product, rich vanilla scent and flavor. Just what I was looking for. Many thanks. This tastes wonderful added to coffee and other baking goods. I got it because it is gluten-free.